A DIY Card for the Royal Babe! Congratulations to the Royal Family! Today I woke up thinking about Kate and wondering if the time was close. As I go online to browse I see that Kate has been in labor for awhile and then…a Royal Prince. I’m so delighted that this beautiful couple finally have their first baby and can’t wait to know more as news develops. 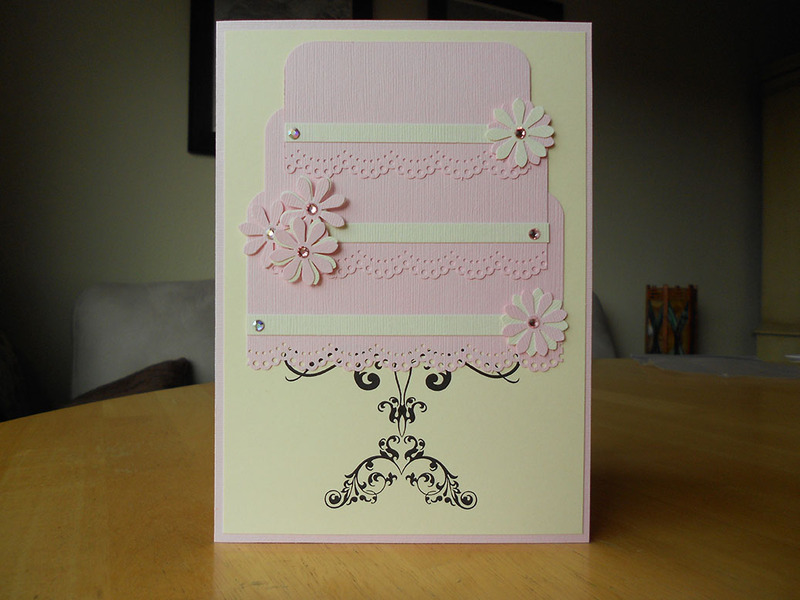 I created this cute little card (as if I were invited to present it to the royal family, ha!) in honor of the new heir. I just kept picturing this adorable little prince in a royal one-sey! Check out the gallery! If you have any DIY projects you’re making please share I’d love to see! Hi Crafters! 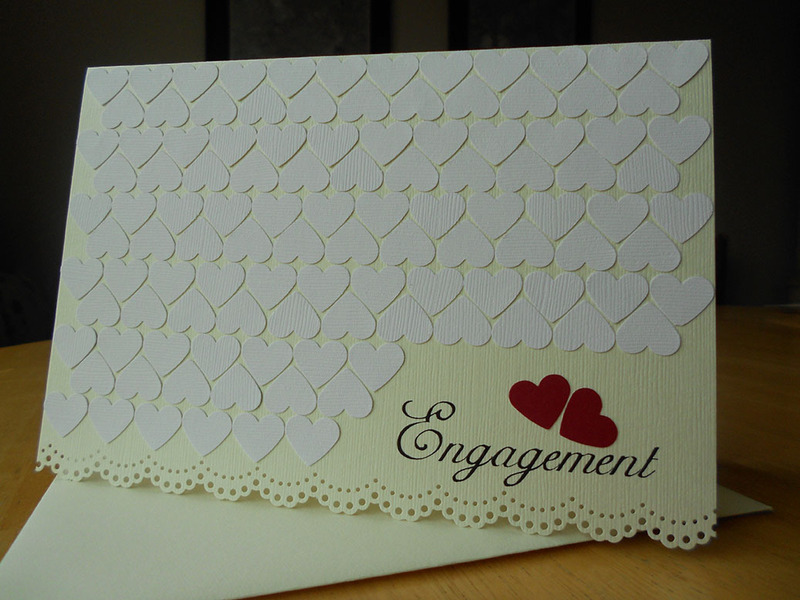 I don’t know about you but I’ve just been itchin’ to create some card designs for the wedding season. I suppose weddings can happen just about anytime but summer is usually quite popular for those wishing to have the best weather. Today, I received a request from a customer that has just been invitied to an Engagement Party. So, I’d like to take you along to show you some of the steps I took to create my card. Ok, buckle up and let’s get started! I’ll show you the different steps in the photo gallery! 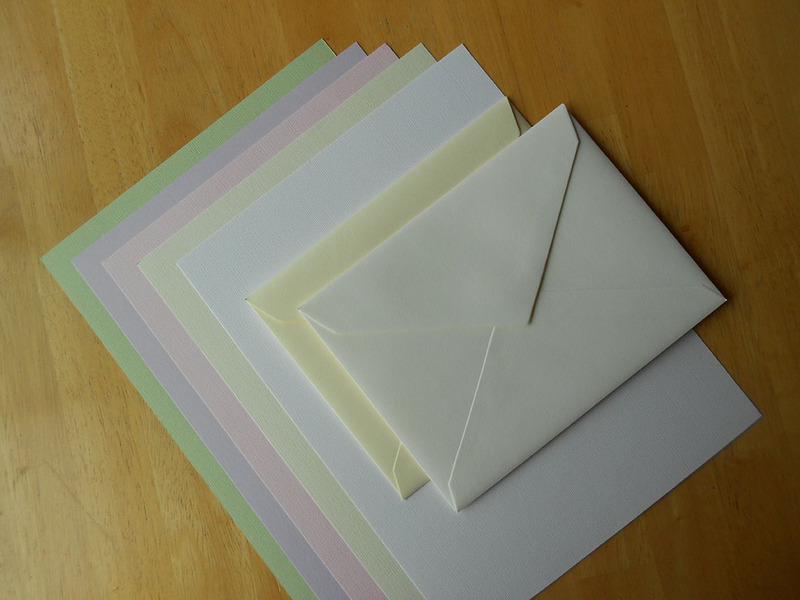 Your choice of color for the card stock base. You’ll also need more of the same color for later. Also, a nice thick envelope will support the card better. Plus, it looks classy! 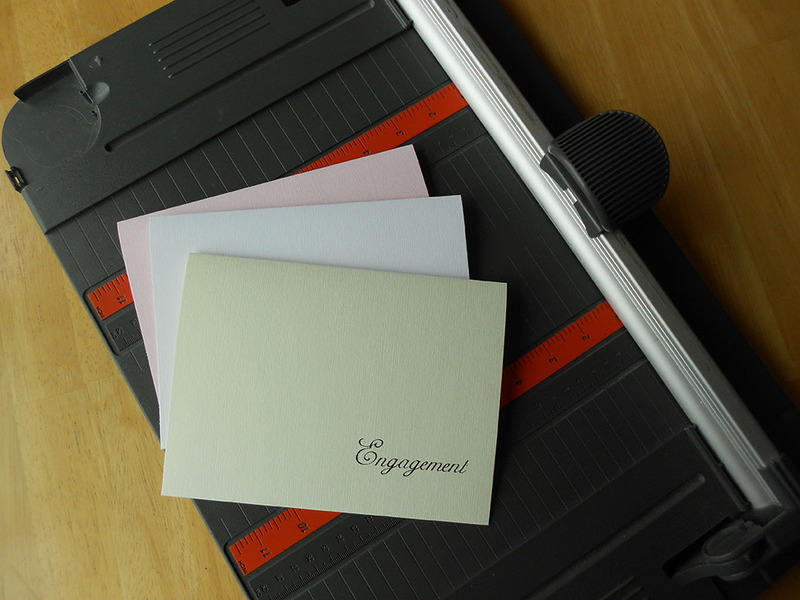 I pre-printed “engagement,” on my card stock before cutting. 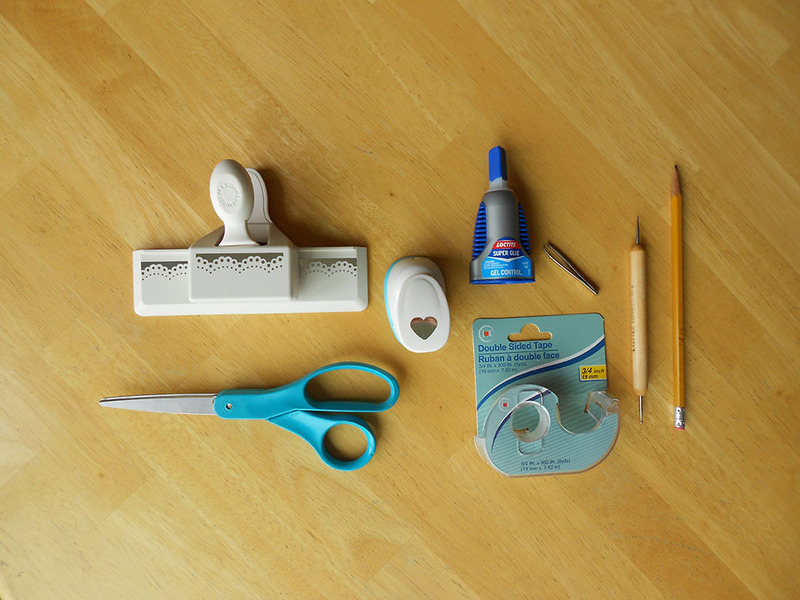 Now, using a paper cutter, cut your card stock to size. Try to size it so it easily sides in and out of your envelope. 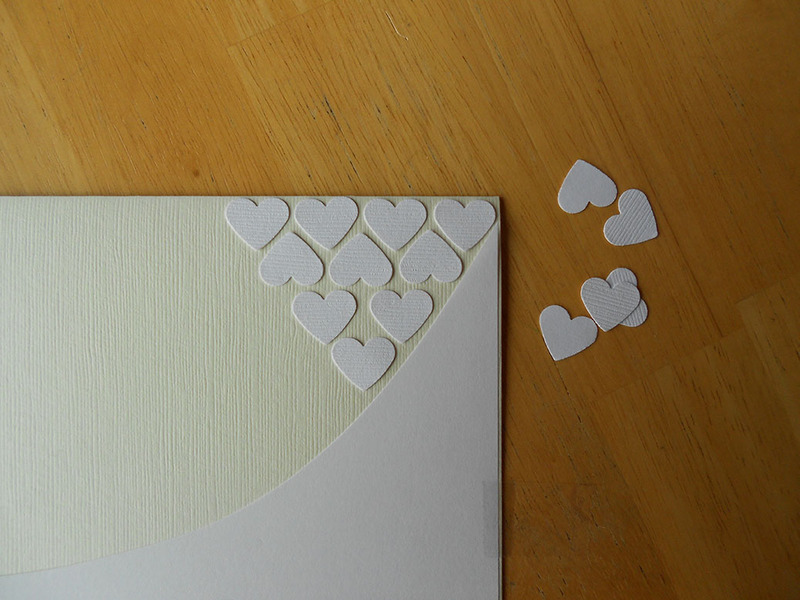 Create a nice crease in the card stock by using the creasing tool. I printed out some words on a thinner card stock to use for the insert. 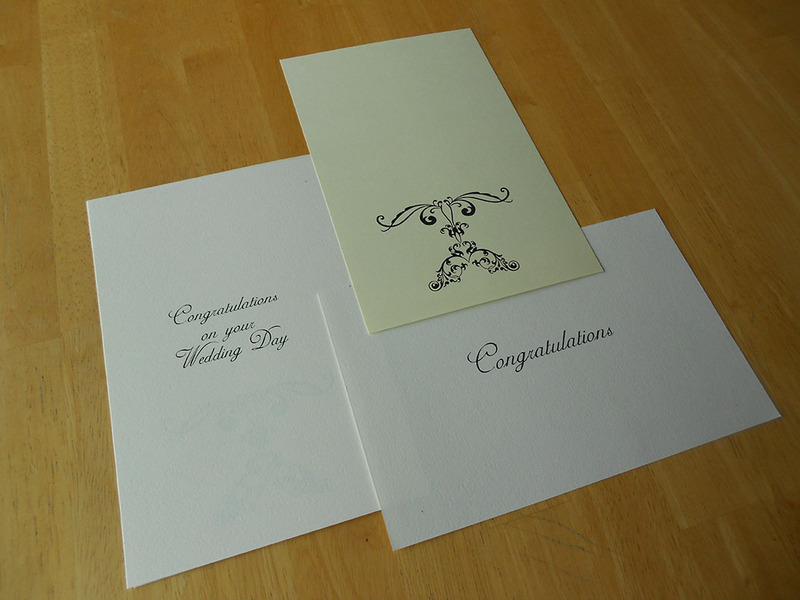 For this card, I only used the “congratulations.” The other printouts are for another project. 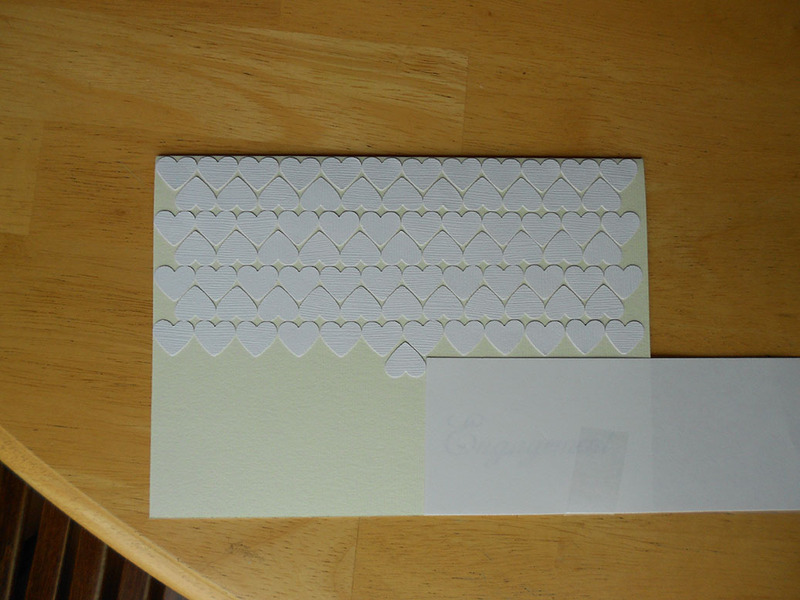 Block off the wording with some scrap paper and continue to place and glue hearts around it. Leave enough room to punch a decorative boarder at the bottom and add a few red hearts for a nice touch. Or for another great idea, place 1 red heart over a white one in a random area! The final step is to tape down your card insert for the inside!